Greek banks are set to keep broad cash controls in place for months, until fresh money arrives from Europe and with it a sweeping restructuring, officials believe. Rehabilitating the country's banks poses a difficult question. Should the eurozone take a stake in the lenders, first requiring bondholders and even big depositors to shoulder a loss, or should the bill for fixing the banks instead be added to Greece's debt mountain? Answering this could hold up agreement on a third bailout deal for Greece that negotiators want to conclude within weeks. The longer it takes, the more critical the banks' condition becomes as a 420 euro ($460) weekly limit on cash withdrawals chokes the economy and borrowers' ability to repay loans. "The banks are in deep freeze but the economy is getting weaker," said one official, pointing to a steady rise in loans that are not being repaid. This cash 'freeze' is unlikely to thaw soon, although capital controls may be slightly softened, such as the loosening on Friday of restrictions on foreign transfers by businesses. "Ultimately, you can only lift the capital controls when the banks are sufficiently capitalized," said Jens Weidmann, the head of Germany's Bundesbank, which pushed the ECB to pare back bank funding, leading to their three-week closure. The debate is interlinked with a wrangle over reforms, about Greek sovereignty in the face of European controls and whether the country can recover with ever rising debts that have topped 300 billion euros, far bigger than its economy. Were another 25 billion euros to be piled on top - the amount foreseen for the recapitalization of Greek lenders - it would add to debts that the International Monetary Fund has argued are excessive. Greek officials, alarmed by a downward spiral in the economy, want an urgent release of funds for their banks. Four big banks dominate Greece. Of those, National Bank of Greece, Eurobank and Piraeus fell short in an ECB health check last year, when their restructuring plans were not taken into account. The situation is now dramatically worse. "We want, if possible, an initial amount to be ready for the first needs of the banks," said one official at the Greek finance ministry, who spoke on condition of anonymity. "That should be about 10 billion euros." Others, including Germany, however, are lukewarm and could push for losses for large depositors with more than 100,000 euros on their accounts, or bondholders. There are more than 20 billion euros of such deposits in Greece's four main banks, dwarfing the roughly 3 billion euros of bonds the banks have issued. Imposing a loss, something the Greek government has repeatedly denied any planning for, would be controversial, not least because much of this money is held by small Greek companies rather than wealthy individuals. "This is not like Cyprus where you can say these are just Russian oligarchs," said an insolvency lawyer familiar with Greece. "It's the very community everyone is hoping will resuscitate Greece, namely the corporates. You'll end up depriving them of their cash." Christian Noyer, who heads France's central bank and sits on the ECB's Governing Council, also cautioned against such a step and said many of his peers on the policy-setting body agreed with him. The tone in Berlin is different, where some advocate not only that bank creditors foot the bill but also that the ESM steer clear of any direct stake, lumbering Athens with the banks' clean-up. "The recapitalization will have to be done by the Greek government so that means more money in the third program," said Marcel Fratzscher, president of the Berlin-based German Institute for Economic Research. "It's a loan they have to repay but there is no risk-sharing on the European side. They will have to bail in the private creditors. I can't see how this could not happen." 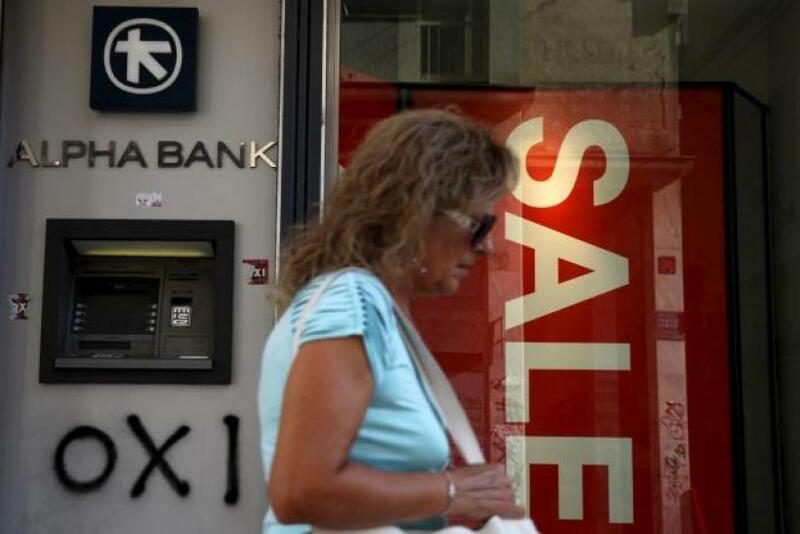 To avoid such orders, Athens is battling to keep autonomy in deciding the fate of its banks. Ceding further control could cost it dearly. Bondholders are nervous. Cyprus is a case in point. When Cyprus was bailed out, one of the island's two main banks was closed. Capital controls, although gradually scaled back, remained in place for two years. One option, according to eurozone officials, is the direct recapitalization of Greece's banks by the eurozone's rescue fund, the European Stability Mechanism (ESM). This could grant the Luxembourg-based authority a direct stake in the banks and greater control over their future. That, however, would take Greece closer to the Cyprus model. Any such direct ESM aid requires that losses first be imposed on some of the banks' bondholders and even large depositors. In Athens, officials would like the money without such strings attached. "We don't know yet if the ESM will take direct control," said one senior Greek banker. "It will be an issue at the negotiations." With its economy starved of cash and the threat of its departure from the eurozone hanging over talks, Athens' room for maneuver is limited. One eurozone official summarized the mood: "Whatever sympathy there was for Greece has evaporated."